Happy Memorial Day everyone! I'm so happy to be sharing a fun recipe with all of you here at A Glimpse Inside. I know we are all sending Allison good wishes for this maternity leave! 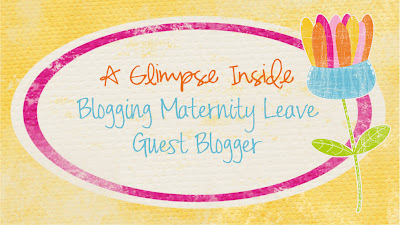 My name is Aimee and I blog over at Shugary Sweets. I love to share my obsession passion for baking delicious dishes. The majority of my recipes are sweets (with a last name of Shugarman, I have a role to fill), however I do share the occasional savory dish. With four kids in the house slow cooker meals are a must have, and I've got some wonderful recipes on my blog! 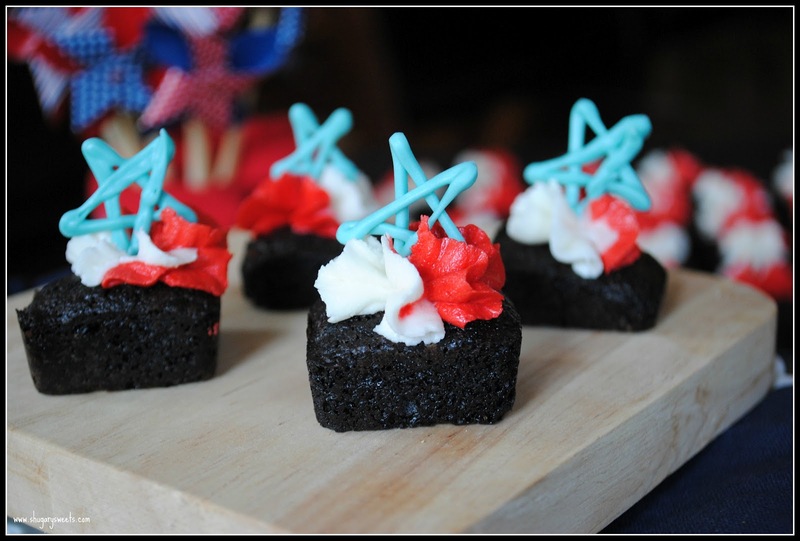 Today though, in honor of Memorial Day, I thought it only fitting to share a tasty red, white and blue dessert! I used a silicone brownie bite pan to make these cute treats, but you can certainly make these in a 13x9 pan as well. As a lover of the corners and crispy edges, these guys are perfect though and I only make brownies in my silicone bites pan now (which you can find on Amazon or at Michael's Craft stores)! Making the swirled frosting is easier than it looks too, you can change up the colors for any holiday. Or, if you want to add in blue, you can do that too! Just fill two disposable decorator bags (12inch) with your frosting (don't snip the corners yet), drop them into a large (I used a 16inch) decorate bag with the coupler inside. Snip off the ends of the disposable bags, attach your tip and coupler, twist and pipe. The blue stars I freehanded onto a sheet of parchment paper by melting some Wilton's blue candy melts and filling a ziploc bag. Snip off the corner and make some stars! EASY. Thanks again Allison for having me over today! Be sure to stop on by my blog, Shugary Sweets to check out some of my other great recipes, and say hello while you're over there! Preheat oven to 375 degrees. If using silicone brownie bite pan, no need to grease. If using 13x9, line with parchment paper. In mixing bowl, mix all brownie ingredients together until combined. Drop by tablespoons into brownie bite cavities (makes 48 bites). Or pour into baking dish. For brownie bites, bake 12-14 minutes (13x9 takes about 22-25 minutes). Allow brownies to cool completely in pan before removing. For frosting, beat butter until fluffy. Add powdered sugar, vanilla and milk. Beat for 3-5 minutes until combined and fluffy. Add more milk if necessary. Divide frosting in half. Add food coloring to half the frosting to tint it red. Put frosting in decorator bags and put both bags into ONE larger decorator bag. Snip off ends of frosting bags, add tip and frost. Melt candy melts according to package. Put into a ziploc bag, snip off the corner. Pipe stars onto parchment paper. Allow to set. 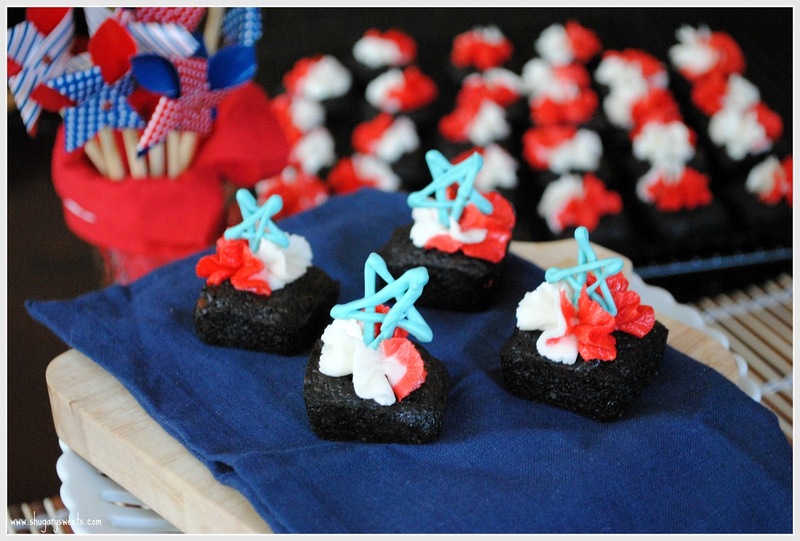 To assemble, frost brownies with swirled frosting and top with a blue star. Eat, enjoy and repeat often! 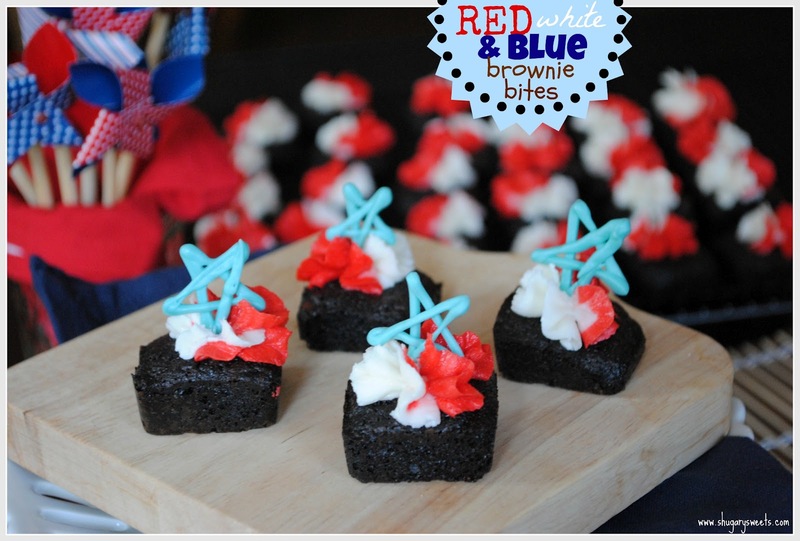 Thanks so much for sharing these yummy looking Brownies Aimee!! Congrats on your sweet baby, can't wait to see pictures. 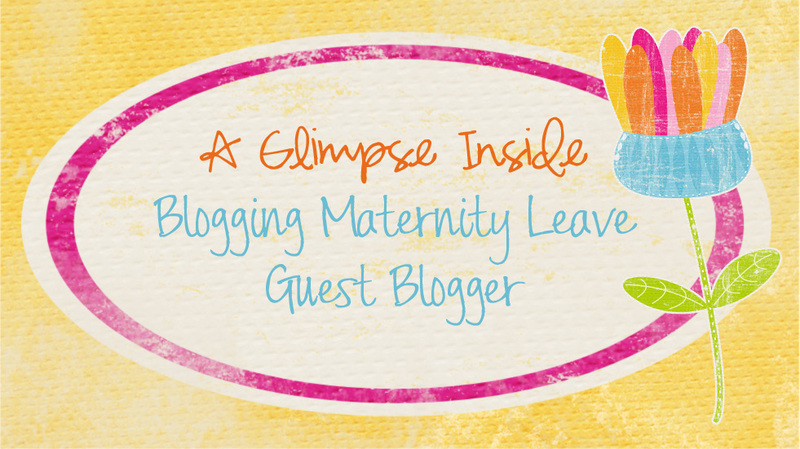 Thanks for having me guest post over here! !